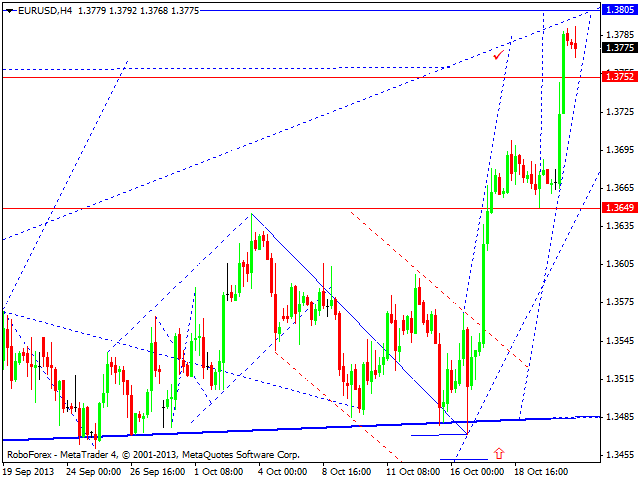 Euro reached its predicted target; the market formed three-wave structure. We think, today the price may form another ascending impulse to reach a new maximum and then start a reversal pattern for a new correction towards the level of 1.3450. Pound reached a new maximum and right now is consolidating. We think, today the price may continue moving upwards to reach the level of 1.6300 and then return to the level of 1.6200. Later, in our opinion, the pair may form another ascending impulse to reach a new maximum and then form a reversal structure for a new correction. Franc gives a fair view of the current market situation better than the other pairs; the market has almost completed a continuation pattern from the level of 0.9024. 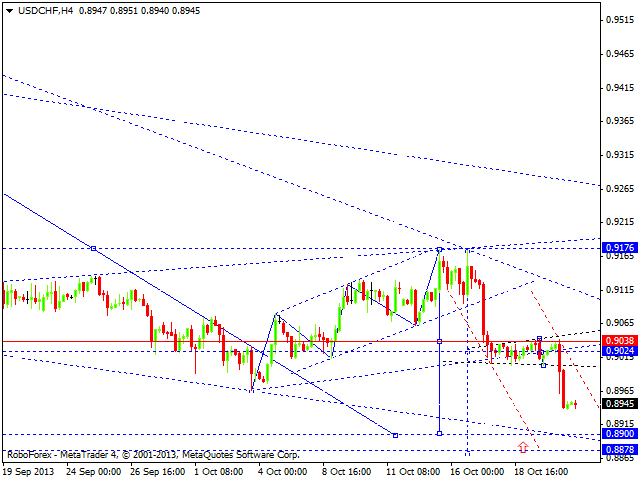 We think, today the price may fall down to reach the level of 0.8900 or even 0.8880. Later, in our opinion, the pair may return to the level of 0.9024 to test it from below. The USD/JPY currency pair continues falling down inside the fifth wave. We think, today the price may consolidate for a while near the level of 97.25 and then continue moving downwards to reach the local target at 96.60. 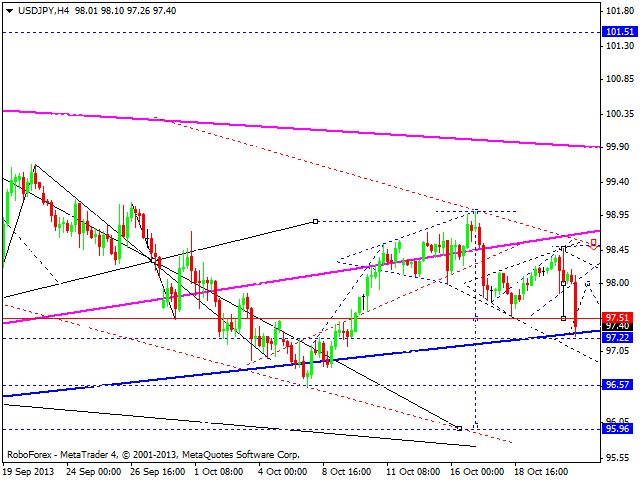 Later, in our opinion, the pair may return to the level of 97.25 and then fall down again to reach the target at 96.00. 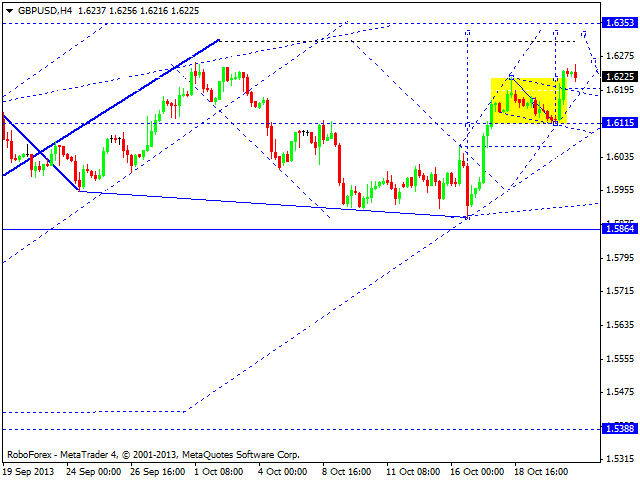 Australian Dollar continued growing up and reached the target of its third wave. 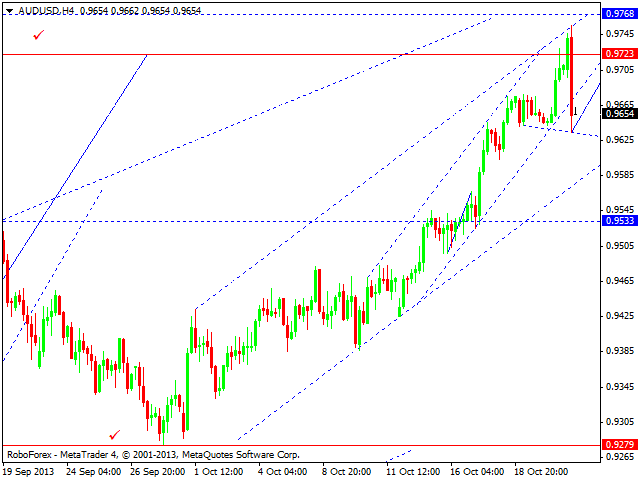 We think, today the price may form the last structure of the fifth wave and return to the level of 0.9630. Later, in our opinion, the pair may grow up to reach a new maximum and then start forming a reversal pattern for a new descending correction towards the level of 0.9230. Gold each the target of its fourth wave. We think, today the price may form a reversal pattern for a new descending movement inside the fifth wave. 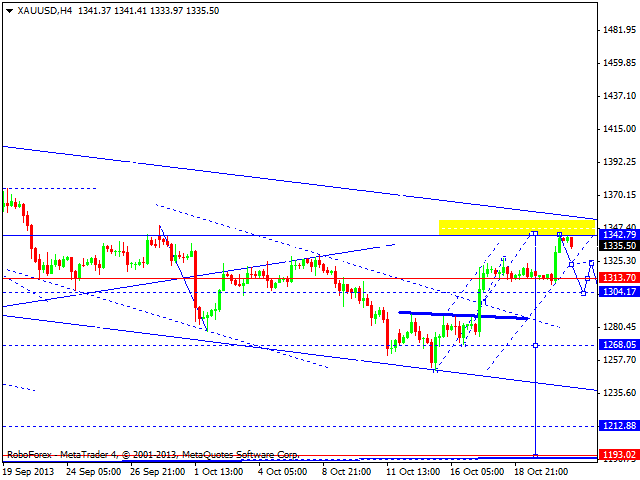 The next target is at the level of 1195.